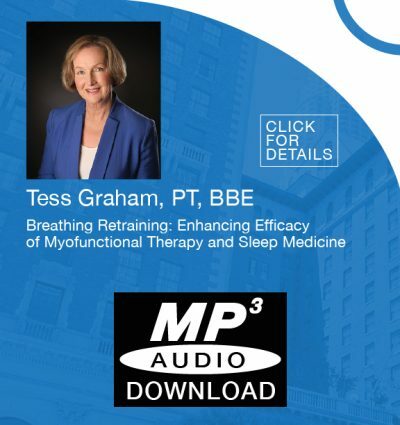 Breathing retraining is an intervention that can quickly restore a nasal breathing pattern concurrent with its effects at a more profound level in normalizing the drive to breathe and other physiological processes. 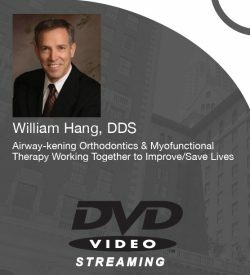 In addition, the use of breathing retraining in early intervention in pediatric and dental-sleep medicine can enhance Myofunctional Therapy, facilitate faster and more stable orthodontic correction, improve sleep quality, reduce snoring and may help prevent progression of simple snoring to OSA (obstructive sleep apnea). As part of a team response, breathing retraining can make a major contribution to optimal patient care. Tess Graham, PT, BBE is an experienced clinician and internationally recognized authority on breathing pattern dysfunction in children and adults with airway and sleep-breathing disorders. Tess established the Breathing Training Centre in 1993, has seen over 5000 patients and trains other practitioners. She is the author of “Relief from Snoring” and “Sleep Apnea”. 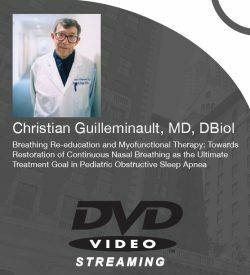 – Describe dysfunctional breathing & its relation-ship to sympathetic state, adult and pediatric sleep-breathing and neurobehavioral disorders. 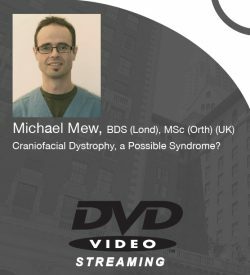 – Identify how many factors impact breathing behaviors and contribute to dento-facial abnormalities, sleep-breathing and neuro-behavioral disorders. 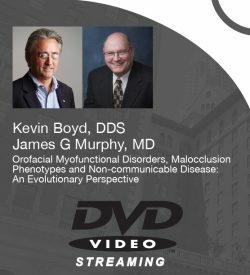 – Identify approaches for patients with chronic oral breathing and sleep-breathing disorders.